Does Dad’s tool box need to be tidied up? Get your child to help you clean, while sneaking in a little maths along the way. Sorting objects by size, colour, shape, or function is an important concept in mathematical reasoning, and it’s the perfect excuse for a little housekeeping! Give your child a sandwich bag full of nuts, bolts, screws, and washers. Tell her that you need her help. Together you’re going to organise these objects and clean up dad’s toolbox. Now let the sorting begin! Several key skills make up the nuts and bolts of year one maths. Here are 3 ideas for using your actual nuts and bolts (and screws!) to give your child some practise. Sorting: Give your child the bag and ask her to organise the contents into groups. When she’s finished, ask her why she chose to group them in that way. 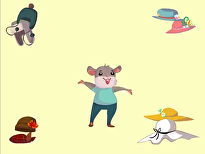 Then challenge her to find another way to group the objects. For example, she might put the screws and nails together because they’re all the same length, or the washers and bolts together because they are round. Another way to sort might be screws and nails together because they're silver, and other pieces because they're brass. 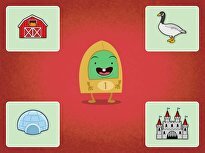 Creating Sets: Can your child match things up that work together? Talk to her about the way in which the objects in the toolbox are used. For example, screws and bolts work together as a pair. Ask her to group them. Then ask some questions. “Are there enough of each?”, “Which one has more or less?”, or, “How many more do you need to have equal groups?” This will help your child to see the relationships between the sets, which will serve her well in year two, as she begins to move to more abstract maths concepts. Patterning:When many parents think of patterning practise, they think of beads. But kids can practise patterning with other objects, too! Ask your child to dump out his bag of materials on a table and show him how to create what teachers call an AB pattern. 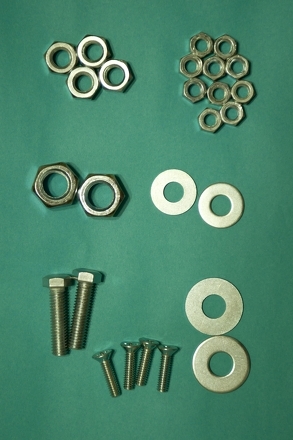 For example, washer, bolt, washer, bolt. Ask your child if he can add to the pattern. What comes next? Once he’s comfortable with the AB pattern, challenge him to create his own pattern, for You To extend. Can he trick you with more and more intricate patterns? Let him try! And be sure to play along. Building patterns teaches children to look for relationships, which will help them later with number combinations. Maths experts agree that young children need many opportunities to practise their maths knowledge. Playing "Nuts and Bolts" with your child gives her the opportunity to work on three of them. And you might even get dad’s tool box cleaned up, too! In year one, kids will learn all about sorting and classifying. This skill is a building block for maths and science concepts to come in the later grades. Knowing how to group numbers, for example, builds a key understanding of numerical concepts. 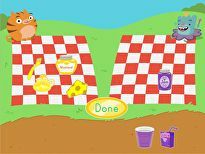 This lesson focuses on sorting and classifying skills for kindergarteners, and comes complete with suggested worksheets for extended learning. In year one, kids will learn all about sorting and classifying. 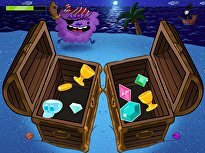 Game: Treasure Chest Match It! This colorful cutting and sorting activity exercises your young one's little hand muscles and fine-tunes her sorting and categorizing skill set. 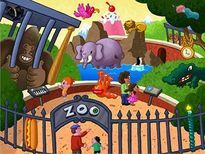 Introduce your class to the concept of sorting with this interactive lesson that encourages participation from your whole class! What goes better in a lunch box: a robot or a sandwich? 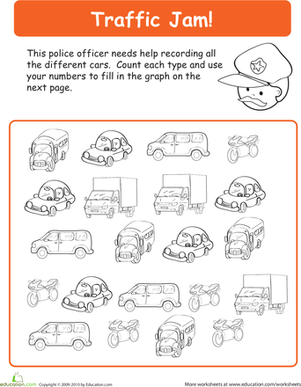 Have some silly sorting fun with your kindergartener. Your child will practise sorting, graphing, and counting. 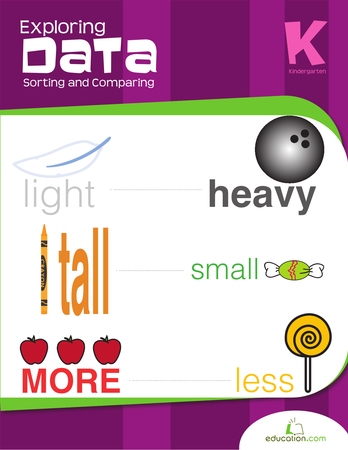 Your kindergartener will develop her sorting and categorizing chops. Assess your students’ understanding of sorting and categorizing using this helpful worksheet focusing on colour, size, and number. 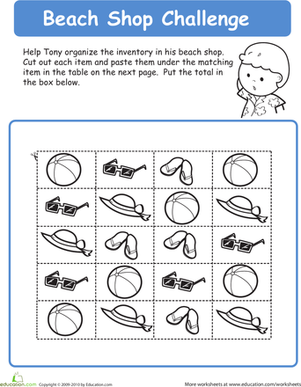 Give your child some practise counting and sorting these party favors as she colors them. Help your child sort out which things go in a construction site and which do not.